The SQ7 is one of the world's most powerful diesel SUVs. An Audi SQ7 TDI was spied testing in Mumbai by IAB reader, Sherwin Trindade. 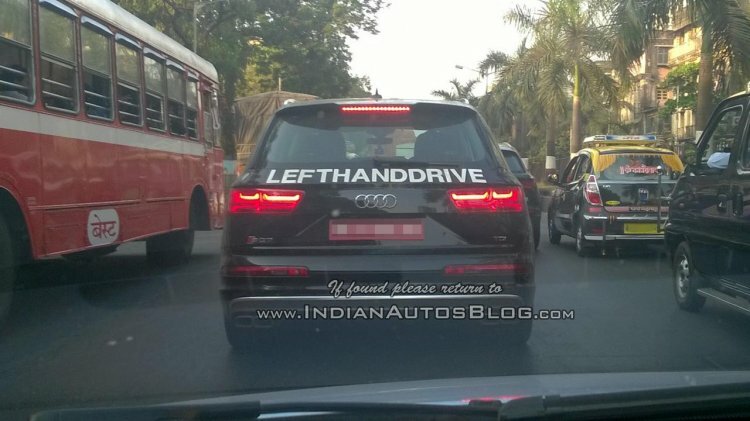 It's unclear if the Audi SQ7 is in the plans for launch in India, given that local reports speculated a launch to be held last year, but have then gone quiet. A good investment is required to downgrade the Euro VI-compliant 4.0L twin-turbo V8 TDI to BS-IV specification. The model spied was the left-hand drive version, so Audi could be testing the SQ7 in India as part of their global testing program or is in the works of homologating it in India. If they're planning to launch it here, a good investment is required to downgrade the Euro VI-compliant 4.0L twin-turbo V8 TDI to BS-IV, so as to run on the less clean BS-IV diesel fuel sold in local fuel stations. The Audi SQ7 is capable of sprinting from 0-100 km/h in 4.8 seconds, before hitting a limited top speed of 250 km/h. 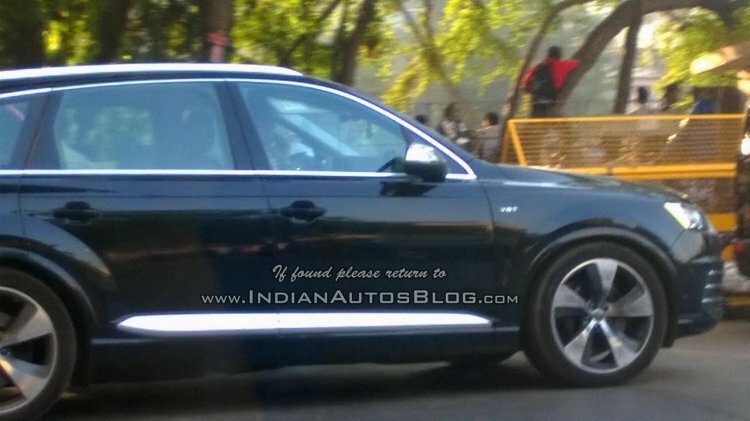 Also Read: Front fascia of the next-gen Audi A6, Audi A7 & Audi A8 revealed? The SQ7 TDI is one of the world's most powerful diesel SUVs (the other being the Bentley Bentayga diesel). Its V8 turbodiesel unit produces 435 hp and a hypercar-rivaling 900 Nm of peak torque, paired with an eight-speed automatic transmission. It is capable of sprinting from 0-100 km/h in 4.8 seconds, before hitting a limited top speed of 250 km/h.